When buying or selling a home, many often find themselves asking “What does a title company even do?” or “Why do we need title company?” Aside from the fact that title insurance is required for the purchase of a home with a mortgage, it is imperative that the property in question has had the necessary title work completed before sale. A title company assures that the title to a property is legitimate, and is able to support their work by issuing title insurance for said property. 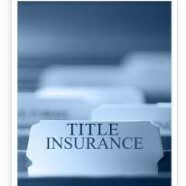 Title insurance protects the lender from any claims or disputes against the property that arise from the title. Title insurance can be purchased to protect the owner of a property, known as an “owner’s policy”, or to protect the lender, which is known as a “lender’s policy”. Many people wonder what exactly is involved in title work. A title company will first complete a thorough title search and examination of property records, to confirm that the selling party of the property is legally entitled to sell the property. During this time, the title company will investigate records for unsatisfied mortgages, various types of liens on the property, and any kind of judgments or outstanding taxes connected to the property. The title company will also arrange for a property survey to outline property lines and precise boundaries of the land. After the transaction is complete, the title company will be responsible for the county recordings of the sale or purchase. The title company will register any corresponding documents, such as affidavits or deeds, with the appropriate entities. Once you have closed, and the documents have been filed, your title insurance policy will be issued. Have questions? Contact Title Choice in Richfield, MN today!